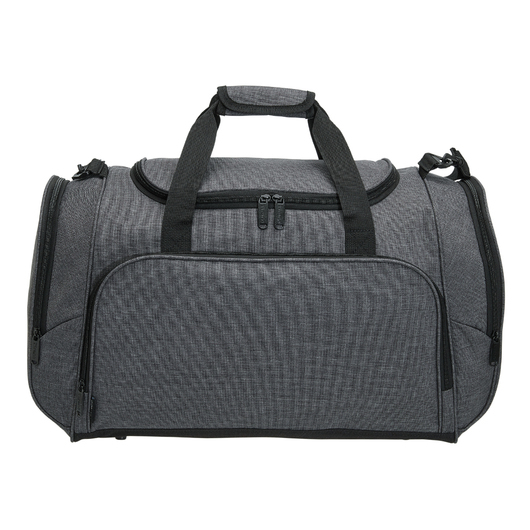 An Italian inspired travel bag suited for jet-setters and travellers! Looking for a travel companion to carry all your clothes and accessories? Want something that will last? In the market for that perfect gift? Look no more! 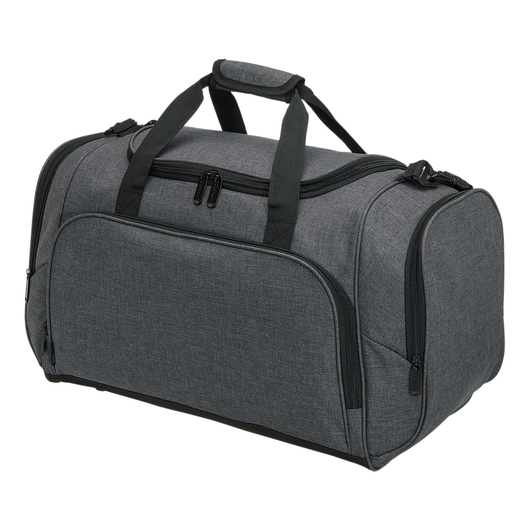 This travel bag is a great option at a wonderful value for the cost! 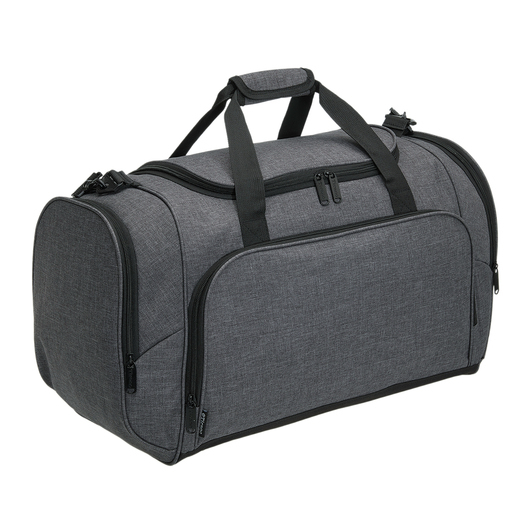 It has a carrying capacity of 49 litres making it spacious and was made of 600D poly-canvas with PVC backing for durability. 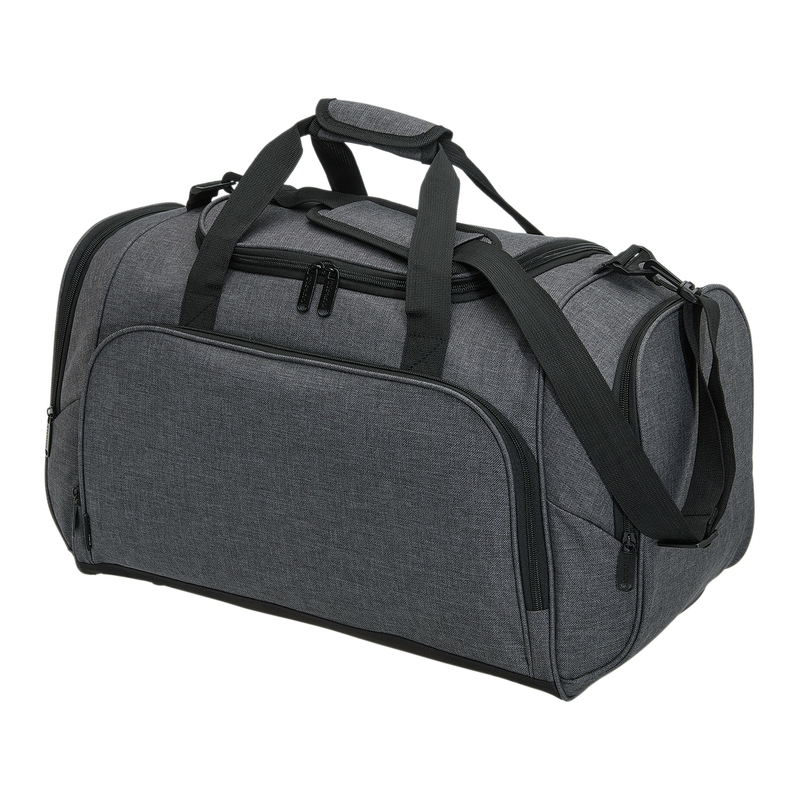 It also has a double zippered large main compartment for maximum storage, single zippered front pocket, zippered end compartments, removable adjustable webbing shoulder strap with padded shoulder pad, and a solid branded zip pulls.